↑Guadalcanal Campaign, August 1942 - February 1943. 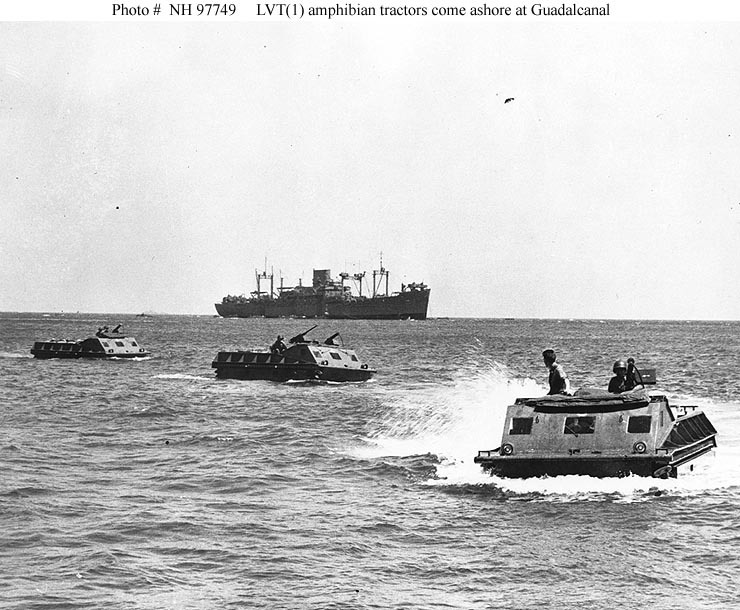 U.S. Marine Corps LVT(1) amphibian tractors move toward the beach on Guadalcanal Island. This view was probably taken during the 7-9 August 1942 initial landings on Guadalcanal. Ship in the background is USS President Hayes (AP-39). U.S. Naval Historical Center Photograph.